Problem solved, then. Manchester United dropped Wayne Rooney and, suddenly, all is rosy. He was the sole cause of the malaise, apparently. Just Wayne. Only Wayne. Always Wayne. It has been this way for some while now. Moyes at Manchester United? No. Moyes at Everton. Rooney was 17 at the time and had been criticised for failing to meet expectations in what was his 11th appearance for the club; 710 games on and nothing has changed. So, yes, Manchester United looked good without Rooney at the weekend. Well, they also looked good without Henrikh Mkhitaryan failing to close down on the right flank; and without Daley Blind getting caught on the hop at centre half; and without Luke Shaw not getting tight enough to his man at left back; and without Anthony Martial caught in possession as he was at Watford; and without Marouane Fellaini clumsily conceding a penalty. It wasn’t just Rooney who was missing against Leicester. Mkhitaryan, Shaw, Martial and Fellaini didn’t start, either — and Blind was shifted to full back. 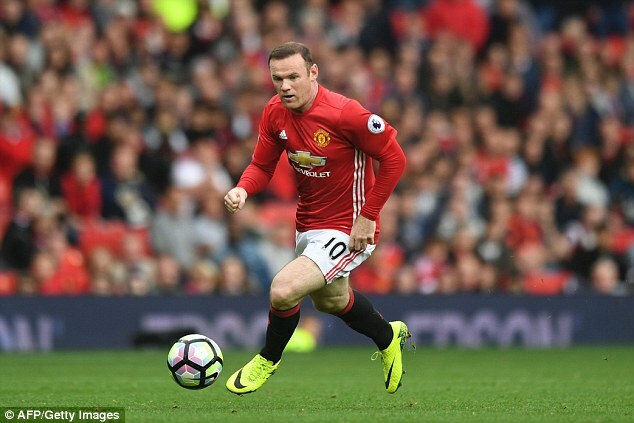 Yet it is Rooney’s absence that has transformed United’s fortunes, just as it was Rooney’s presence that amounted to three straight defeats previously. If only life were that simple. ‘Sempre Butcher,’ the great Italian manager Enzo Bearzot would say, when contemplating England’s defence. Always Butcher. And now, sempre Rooney. Always Rooney. If England aren’t functioning, it’s because of Rooney. If Manchester United lose: Rooney. Yet United scored from three poorly-defended corners against Leicester, and Rooney is typically on corner duty. So might he have had three assists had he played? And if that had happened, would it also mean United’s problems are over? Of course not. Rooney started the season well. He made goals. He scored goals. Yet even then, there were rumblings of dissatisfaction. It is as if judgment has now been passed. Nothing he does can be good enough. 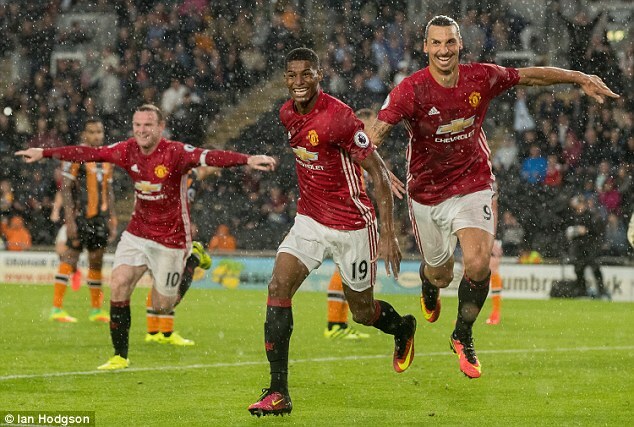 He made the last-minute winner at Hull — but it was the previous goalless 90 minutes that were highlighted. He hit the perfect cross for Zlatan Ibrahimovic against Southampton, but the striker got credit for a chance on a plate. And then, when Rooney’s form dipped and United faltered, it was all down to him. He should have won a penalty against Manchester City and the goalkeeper should have been sent off. But no credit. He was poor against Watford, but so were a lot of team-mates. No sharing of blame. It will be this way against Zorya Luhansk of Ukraine tomorrow if Rooney plays. The match will be viewed and skewed through the performance of a solitary figure. If United struggle, blame Rooney. If United win, Rooney is vindicated. It makes him seem like a problem child, always the centre of attention, always a bigger issue, a bigger headache, than he really is. Rooney’s dilemma, as Gary Neville pointed out, is that he has played 721 games and is not even 31 yet. It would be miraculous if he still had the energy of 10 years ago — but, at 30, he is not of a mind to contemplate winding down. He is not ready to be a part-time player, a mentor to Marcus Rashford, an impact substitute, the roles others feel he should embrace. At Rooney’s age, Ibrahimovic was a handful of games into his first year at Paris Saint-Germain. He left having won four titles, and signed for Manchester United. So Rooney is not focused on managing the end game. He tried that by moving into midfield last season, only for Jose Mourinho to strangle the idea at birth. There has been no fall-out between the pair, either. 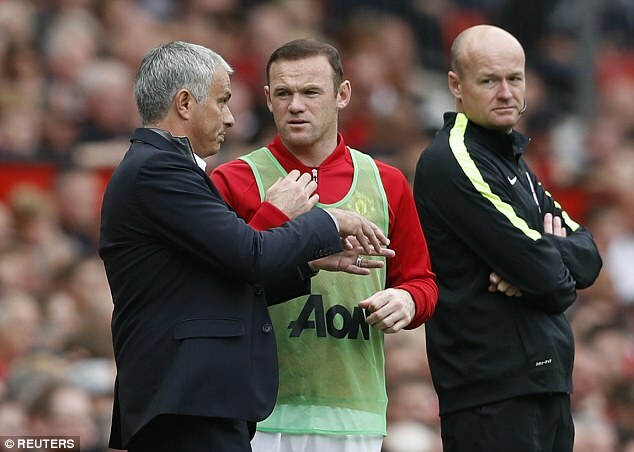 Mourinho told Rooney in advance that he was dropped, respecting his position as captain. 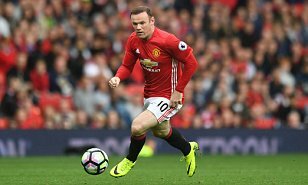 Rooney accepted the decision and is determined to get back into the team. Will he? Probably not against Stoke on Sunday, considering Juan Mata’s form in his No 10 role. But Mata’s history suggests sooner or later he will incur Mourinho’s displeasure and Rooney will get his second chance. At which point, it cannot be just about him again. The man needs breathing space, even more than the boy did at 17.